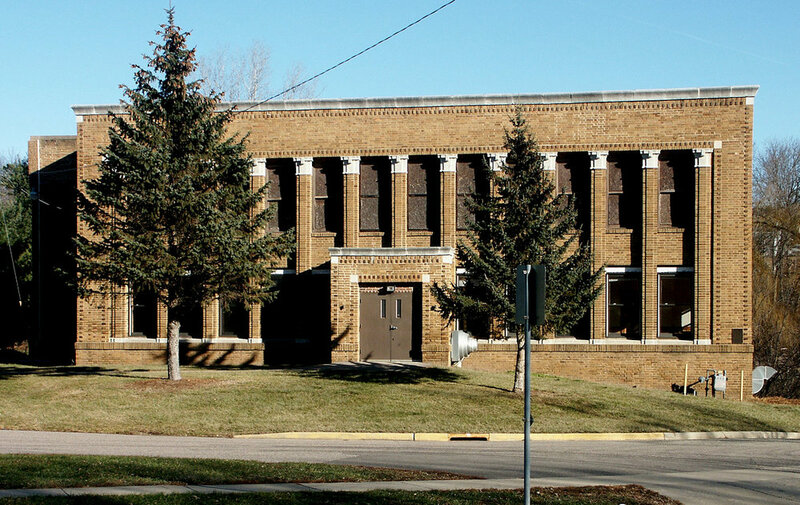 On December 19, 2006 the Sauk County Historical Society acquired the historic Island Woolen Mill office building from the city of Baraboo for $1. Before the transfer could happen federal approval was required as the city-owned property was part of park land purchased with federal land and water conservation dollars. Suitable park land had to be found to mitigate the property being turned over to the historical society. SCHS received important assistance from the offices of Baraboo City Attorney Mark Reitz, State Representative Sheryl Albers, Congressman Ron Kind, Congresswoman Tammy Baldwin, and Senators Russ Feingold and Herb Kohl who all helped the process along. a determination by the Wisconsin Historical Society that the building was historically significant and was eligible for the National Register of Historic Places. a structural analysis that revealed that the building remained solid and was deemed environmentally safe. resolution of a red tape issue involving the Wisconsin DNR and the federal Land Water and Conservation Act which had to be completed before the transfer could take place. After purchase, the Historical Society embarked on a project called the Pillars of Progress Restoration Campaign, which renovated the historic building into the home of the Sauk County History Center. The upper two floors were transformed into office space, a research library and reading room where individuals are able to access information about their families, homes, and the county in general. The lower level of the building, which remains unrenovated, will eventually serve as display space. Built in 1917, the Island Woolen Mill Office Building is a notable example of the work of the Madison architectural firm of Claude & Starck. Active during the early twentieth century, the firm designed many Midwestern buildings including over 40 public libraries and numerous schools. The Island Woolen Mill office building is a rare example of the Prairie style applied to an industrial building. 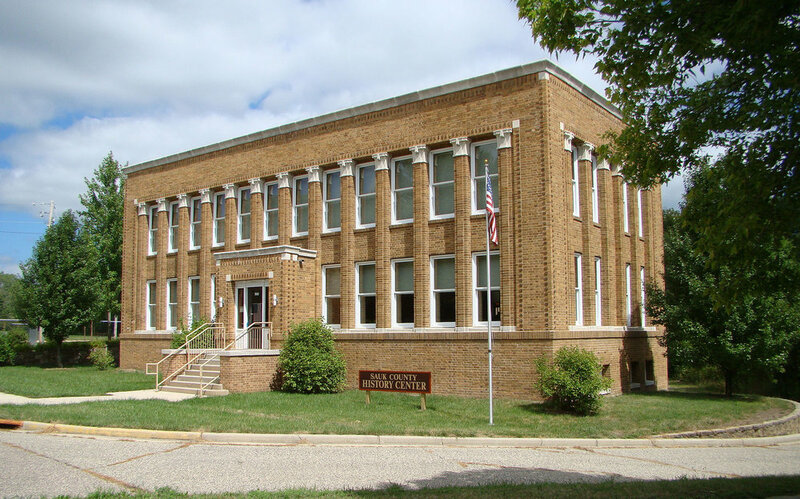 The building was renovated for use as the Sauk County History Center. An early historian declared the Island Woolen Mill "one of the heaviest manufacturing houses in the state." The original wool mill was built in 1859, near the "island" created by the water raceway that cut across the upper oxbow peninsula. By World War I, the mill was at its peak and had grown from a simple structure to a vast complex of buildings. 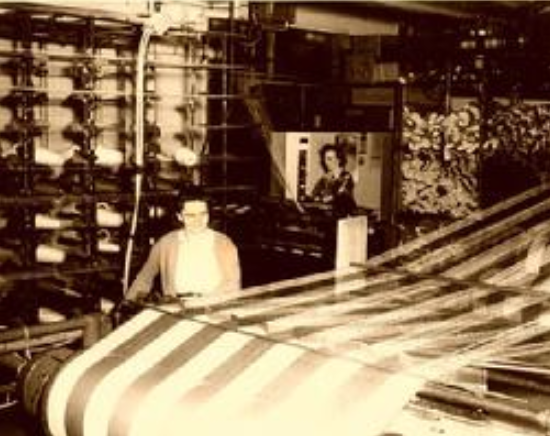 For most of its existence the McFetridge family owned it and nurtured the business until it grew to be one of the largest textile mills west of Philadelphia. 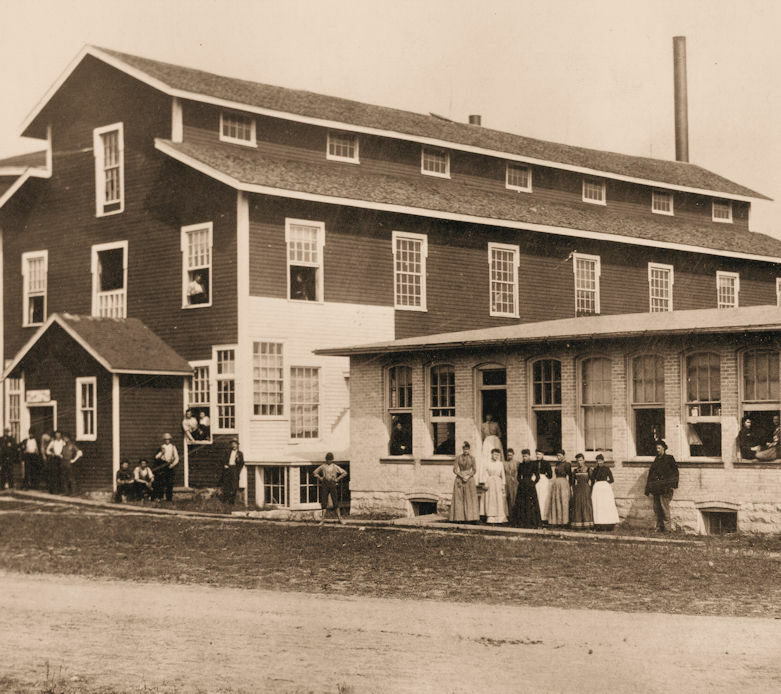 Operated for more than 80 years (1863-1949), the Island Woolen Mill was at one time the largest employer in Sauk County. The mill carded, spun, and loomed material for clothing, automobile upholstery, and during World War II, overcoat material for the army. It eventually occupied the county's largest building in the 1920s. After 1949, the mill stood vacant and was heavily damaged in a fire in 1963. 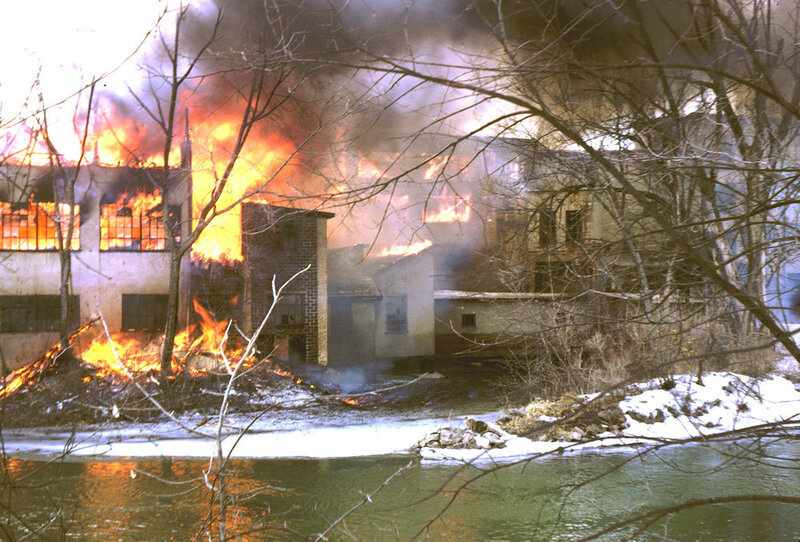 Subsequently most of the mill was demolished except for the office building which is located on Second Avenue near the Baraboo River at the south end of Attridge Park. For years the city used the lower level of the building as a maintenance shop. 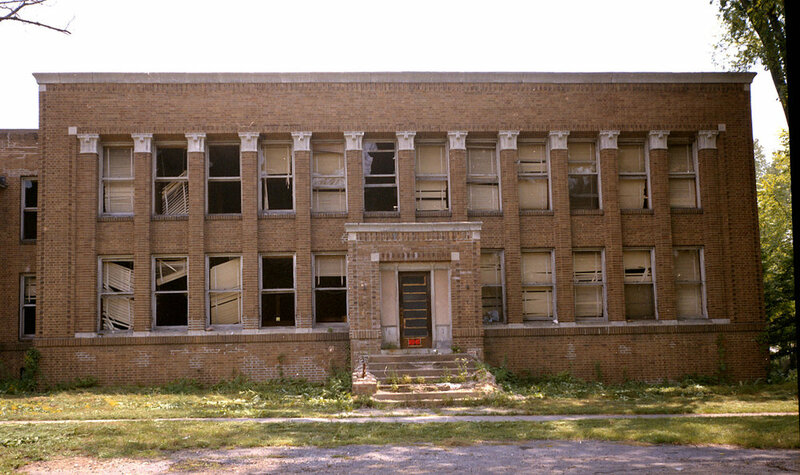 But with the completion of a new facility on the south side of town, the old building was deemed no longer necessary and was abandoned.